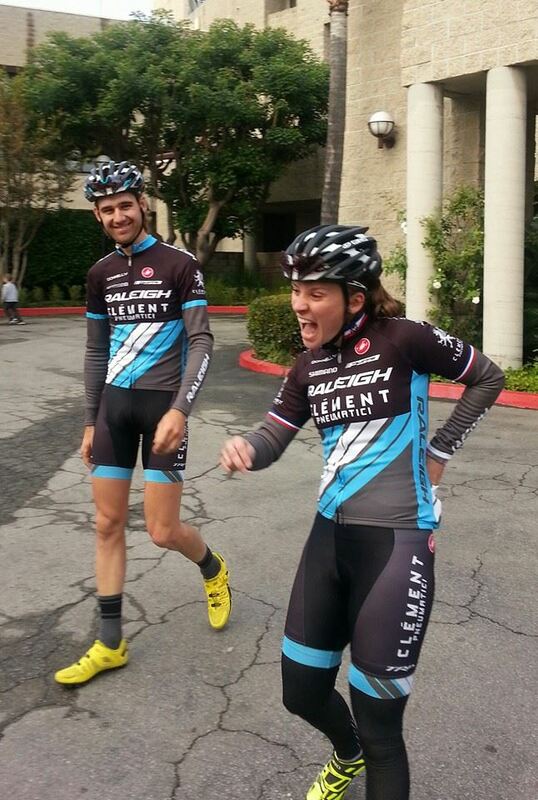 Team Raleigh-Clement headed to Southern California this weekend for two days of racing amid palm trees and concrete at CXLA. While not your typical cyclocross conditions for early winter, the atmosphere was fantastic and the racing was exhilarating. Ben Berden and Jamey Driscoll went one-two on Sunday, besting a world-class field with an impressive display of team strategy. Jamey helped create the mid-race selection that carved out an elite group of four: Tim Johnson and Danny Summerhill matched against the two Raleigh-Clement boys. Going into the final lap, Jamey revved it to the max, keeping Tim and Danny in the red while Ben stayed tucked in the wheels. The four flew through the finish straight with Jamey in the lead. Ben lit the fuse on a perfectly timed sprint to come around to the line for a textbook victory. Jamey held on for second, with Tim finishing in third and Danny in fourth. 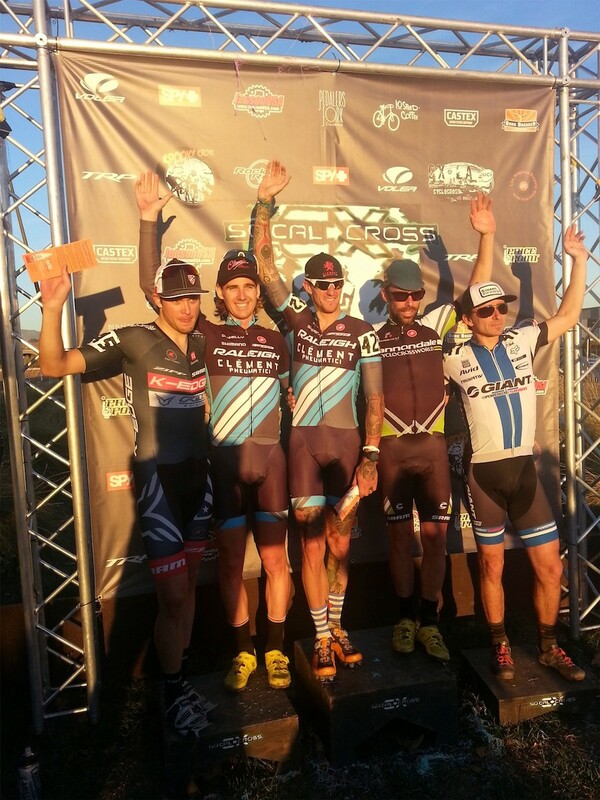 The weekend also saw the conclusion of the four-race Cross After Dark series. Coming into CXLA, Ben was in the lead of the four-race series, which included stops in Las Vegas, St. Louis, and Cincinnati. But Ben's main rival in the series, Ryan Trebon, did exactly what he needed to and won Saturday's night race and the series. Ben finished in fifth, which gave him second in the series. Had Ben finished third or better, he would have won the series. But that's why we race, right? Not to be outdone by the guys, Raleigh-Clement's Frenchwoman Caroline Mani also had a good weekend with fifth and fourth places that indicated a high level of fitness and confidence. Caro now heads back to France for the remainder of the season, where she'll continue racing with a focus on the upcoming World Cups, French National Championships and World Championships. Craig "Hot Laps" Etheridge won both days in the single-speed category, pushing his season’s win tally to over a dozen in the one-gear class. Craig has been called "the embodiment of cyclocross spirit," but let's try to keep the air horn out of his hands next weekend, shall we? Closer to his home, Colorado's Allen Krughoff took a nail-biter to the line, finishing second in a Colorado Cross Cup race outside Denver. Continuing their demanding schedule of events coast-to-coast, the Raleigh-Clement Cyclocross Team next heads to Bend, Oregon where the conditions may be a tad more wintery than SoCal.